This has been a slow spring, you’ve probably heard me say it once or twice before. There are several areas in our yard where the snow is still two feet deep. And out of complete defiance of our slow thaw, this morning I happily let our three year-old put on the new sundress I picked up for her last week. She’s been begging to wear it. And with the forecast finally predicting a high in the low 40’s, how could I possibly continue to refuse her sweet pleas? 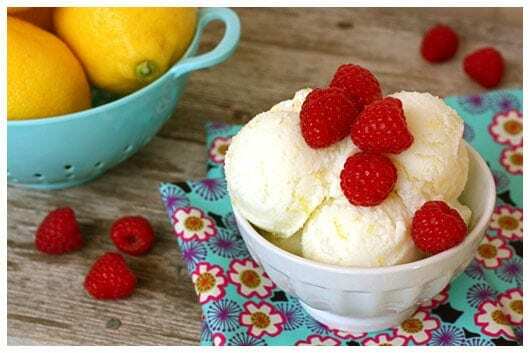 When my daughter and I made this lovely Lemon Buttermilk Sherbet over the past weekend, it had us all dreaming about the warmth of spring and summer ahead. It just couldn’t be helped. Light and refreshing, and ultra tangy from the buttermilk and lemons, this is a dessert that screams summer! The sherbet is icier and less creamy than ice cream. Which equals super refreshing. When it’s hot outside, that icy texture is something I crave. I first served this about 4 or 5 hours after I had made it and put it in the freezer. It was perfectly scoop-able and held its form beautifully. The girls & I enjoyed a scoop as an evening snack, sprinkled with fresh berries. I was interested for their reaction to the recipe’s buttermilk flavor, and their answer to that was, “Can we have more, please?” Yes, that please was included. I knew they were serious! The following evening, we had some more. But the experience was different. After spending a day in the freezer, the sherbet had frozen quite hard. It was more like shave ice. And that’s when our girls really gobbled it up. They loved it even more! Our family likes to make all kinds of homemade ice creams, sorbets, and sherbets, but we had never made anything that used buttermilk before. 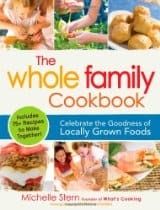 So I was definitely intrigued by this recipe from my friend Michelle’s new cookbook, The Whole Family Cookbook. 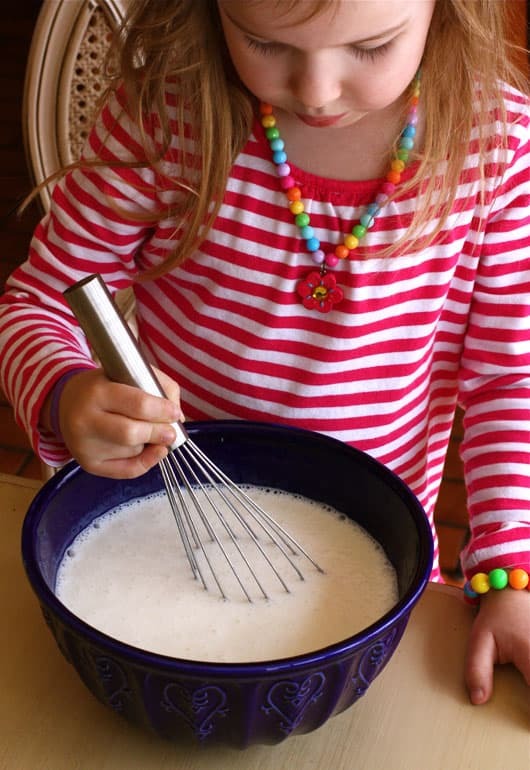 Michelle blogs at What’s Cooking with Kids and is the founder of a children’s cooking school that teaches families about fresh and healthy eating. I completely agree with Michelle’s philosophy that teaching kids to eat healthy foods comes from cooking and eating together at home. Both her blog and her new cookbook are filled with kid-friendly food, aiming to bring family members side by side in the kitchen. My sisters and I have been beyond blessed to have a mom who got us involved as young kids in cooking. I am incorporating this in our own family as well, and Michelle’s book is a wonderful example of how to do just that. The book is very visually appealing to kids and the recipes are simple and easy to follow. For a little taste of The Whole Family Cookbook, and to see Michelle and her family in action, here is a short video to introduce you. Enjoy! Michelle has graciously provided one of her new cookbooks for me to give away! All you have to do is leave a comment here and you’re entered for a chance to win! Simply let me know your favorite easy and refreshing summertime treat. The giveaway will end Tuesday, April 5th at 7:00 pm CST. Congratulations to you! I will email you for more information. Thank you to EVERYONE for entering!! 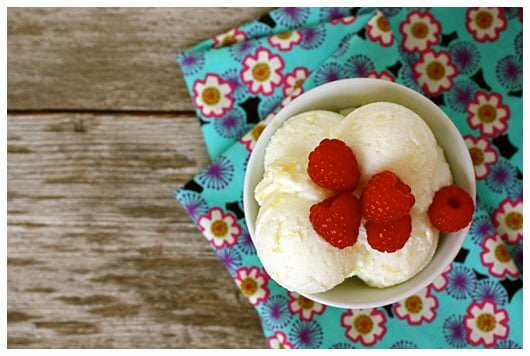 Before starting this recipe, make sure that the bowl for your ice cream maker is frozen. Measure the buttermilk and pour into a medium-sized measuring bowl (ideally, one with a spout). Zest the lemons. 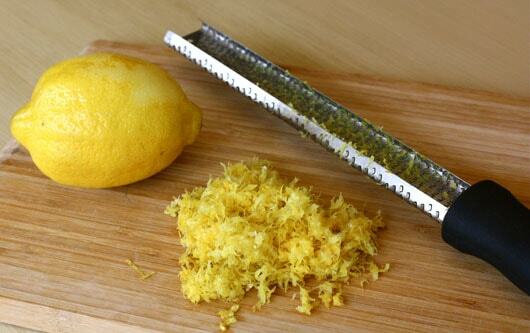 If using a peeler that gives you large pieces of zest, be sure to cut the zest into small pieces with a knife. Cut the lemons in half and juice them to measure 1/2 cup of juice. Be sure to remove any stray seeds. Pour the lemon juice into the buttermilk. Add the sugar and whisk to incorporate. Refrigerate for about 15 minutes, or until the mixture is very cold and sugar has dissolved. Pour the cold mixture into the frozen bowl of your ice cream maker and process for 20 minutes, or according to the manufacturer’s directions. Add the lemon zest and continue to process for another 10 minutes. If you don’t have an ice cream maker, pour the mixture into a sturdy bowl or container and put it in the freezer. Remove from the freezer and stir vigorously every 45 minutes, for up to 3 hours. Store in an airtight container in the freezer for 2 weeks. Be sure to take the sherbet out of the freezer about 20 minutes before scooping. adapted slightly from The Whole Family Cookbook by Michelle Stern – check it out!! Pineapple Buttermilk Sherbet made the same way as your Lemon Buttermilk Sherbet is also lovely and delicious year round. But it is a creamier sherbet even after hard freezing and shaving.. 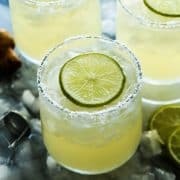 I use my freezer and stir and turn the sherbet at least every 45 minutes..
To the 4 or even 5 cups of buttermilk,I add a large can of crushed pineapple in its juice and the juice of half a lemon if available, AND I make this a sugarless sherbet,sweetening mine with powdered sweetner…not Splenda. I serve it in a tall,pretty glass and eat it with an iced teaspoon. YUM!! This sherbet looks wonderful… I can’t wait to give it a try! Just a slice of watermelon. :) yum. I love coconut ice cream! We were doing dairy free a year ago and tried coconut ice cream and I loved the hint of coconut in it so much that when we went back on dairy, I still preferred the coconut ice cream. Another treat is frozen yogurt pops made from plain or vanilla yogurt and chopped up frozen fruit. Perfect on those hot summer days! Fresh berries are our favourite summertime treat. Sometimes we add some ice cream to our bowl, but the sweetness of the berries is fantastic on its own. A bowl of fresh berries with a dollop of yogurt or sour cream, a sprinkling of brown sugar on top. Or simply a bowl of fresh berries! Thank goodness I leave in a peach growing part of SC because I love peach anything in the summer. 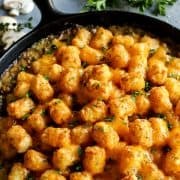 One of my favorite recipes also contains buttermilk, which I thought you might find interesting. My mom made it at the beach a couple of summer ago and we all loved it. Can’t seem to put the recipe here, but it just uses 2 cups of pureed peaches (or strawberries or raspberries), 1 cup sugar, 2 cups of buttermilk, and 1 tsp vanilla extract. Mix everything together and churn until frozen. It is really really good. Mom called it Peach Sherbert. Oh my goodness, Brenda – this is GORGEOUS!!! 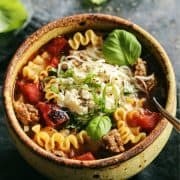 I just recently starting cooking a lot so I don’t know that we have a favorite summer recipe. We do love fruit pizza which is great in the summer because it has all the fresh fruit; strawberries, kiwis, blackberries and bananas. Yummy! 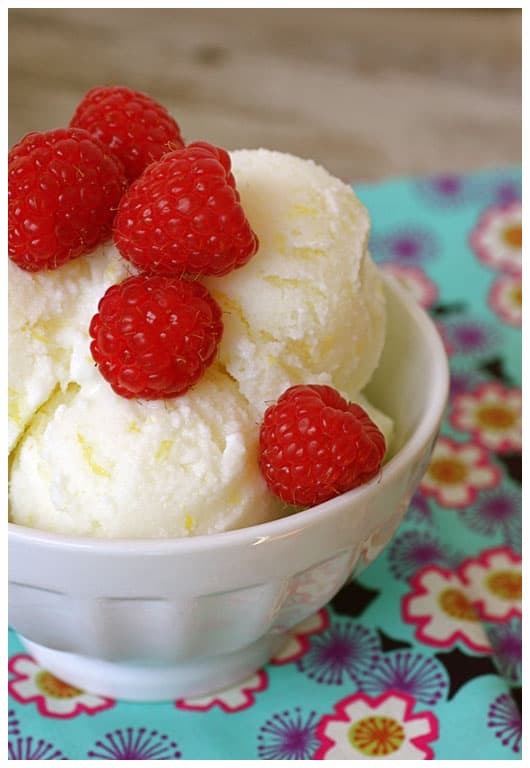 Mmm, I’m not not usually a fan of lemon sherbet, but that looks absolutely delicious! This sounds yummy! I can’t wait to try it! Thanks for sharing! Wow — this looks like a great dessert. I’m a sucker for any frozen yogurt, ice cream combo. My favorite dessert in the summer is vanilla ice cream topped with homemade granola and fresh fruit. Yum, yum! Looks delish! My favorite summertime treat is strawberry shortcake. I could eat it every day, all summer long! This sherbet looks so refreshing and I love your pics. My absolute favorite thing to make in the summer is all different flavors of fresh lemonade. I am fortunate enough to have a huge lemon tree in the backyard and adding all types of other fresh fruits to our lemonade is a fav around here. Strawberry basil is fantastic!! Aside from just about ANY flavor of ice cream, our family really loves frozen blueberries. I love your blog. My favorite summertime treat is homemade icecream. I just got an ice cream maker and am so excited to try this! I love how its so simple to make! This looks so delicious and refreshing. I can wait to read Michelle’s book and give this recipe a try. Hope your spring picks up speed darlin’. YUM! My favorite summertime treat is peach cobbler made with fresh peaches from the farmer’s market and topped with some homemade vanilla ice cream! My favorite summertime treat is Caprese Salad made with heirloom tomatoes and fresh mozzarella. My favorite summertime treat is yogurt, sherbert, and berries parfait.. I would love that cookbook for new new ideas.. 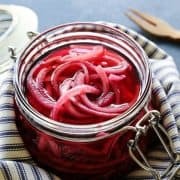 When I first saw the picture on this blog I thought I’d read it but never make it cos it would be too difficult but theres only three ingredients and you can make it in the freezer! Brilliant! I’m definatley gonna make this when I get home for the easter break – my family will love it! It looks so refreshing. My husband loves anything with lemon. I can’t wait to try it. Thanks for the inspiration and the recipes.. So many summer favorites to choose from but I have to go with a fresh peach pie! Brenda, you are making me re-think sherbet. I’ve never been a huge fan…always going for ice cream instead. But this looks wonderful! I have lemons in my fridge….hmmm. This looks great. I really would love to get this cookbook. Hoping to order soon. My favorite summer time treat is FRUIT. Any kind of fruit….how about melons, berries, strawberries and cherries all mixed up in a big bowl…serve cold and enjoy! 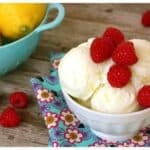 love lemon sherbet so much-I usually make it with heavy cream, but will have to give buttermilk a try! I love a refreshing sherbet like this when the weather gets hot. I can’t wait to check out the book. Love to make fruit kabobs with melon, berries, peaches, whatever is ripe and tasty! This looks great! And so different too! 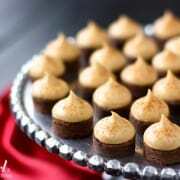 I would love for you to link up on my blogs Recipe link party! “Made it on Monday” You can link up every Wed.-Sat. I hope to see some of your recipes soon! Beings I had the buttermilk and the lemons on hand I made this recipe this afternoon, and just got done sampling it. What a unique and tangy favor! If you like buttermilk you will find this so refreshing. Don’t really make it, but watermelon with a dash of salt. 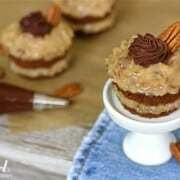 An easy recipe for a delicious dessert! This sounds so simple and yet amazing. Love it. 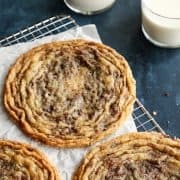 Thanks for linking up with Sweet Tooth Friday! Just for me…a Sonic Coke Zero! Well that’s really anytime, but also we love strawberry shortcake and blueberries right off our little bushes. I’m not entering the giveaway, just wanted to stop by and tell you how wonderful that sherbet looks. While it’s still too cold here to entice me to eat ice cream or sherbet, your dish and the lovely photographs of it sure to start up the cravings! My favorite summer time treat is watermellon. :) But i’m going to have to try your recipe. That looks delicious! favorite summertime treat is a peach… fresh off the tree! This looks great! Your daughter is adorable. I can’t wait to get Michelle’s book and try all her wonderful recipes. I love a angel hair pasta tossed with lightly sauteed tomatoes,garlic,basil, and olive oil topped with freshly grated asiago cheese. Those raspberries straight from your garden are one of my FAVORITE summertime treats!!! The kids speak of them often. The Lemon Sherbet looks like the perfect compliment! Only 3 ingredients? Now that is MY kind of recipe! Beautiful sherbet! I can’t wait to get my hands on Michelle’s book! 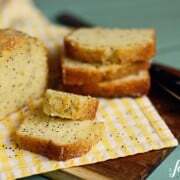 I can attest to how delicious this recipe is. I’ll be making it all summer long! Ice cream! I got a new maker last year and now I can have soft serve in about 20 minutes. I love my ice cream! That sounds ah-may-zing! My favorite summertime (or anytime!) treat is frozen yogurt from Skinny Dip… Where you serve yourself & load up on toppings!! This sounds delicious, I can’t wait to try it. YUM!!! Looks delicious!!! Honestly my favorite summer treat is watermelon!! So good! That looks yummy. I love sherbet and lemon is one of my favorite flavors. It would be perfect for the hot summer days in the Deep South.